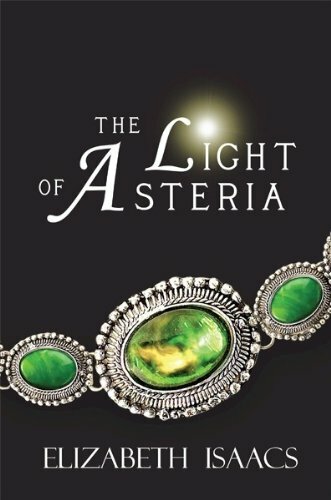 Welcome to my stop on The Light of Asteria Blog Tour. Below is an awesome excerpt from The Light of Asteria by Elizabeth Issacs along with a giveaway! What just happened? Memories raced as I sped toward the highway, desperately searching for an explanation. Nothing came. The late afternoon breeze cooling the August sky seemed different. The smell was the same woodsy scent that was uniquely the mountains, but the air felt different—like fresh ozone after a spring rain. I shivered, suddenly regretting the impulse to leave the top off the Jeep. Surely if something had happened, someone else would have noticed. What if it was all a figment of my imagination? Was he even real? Dense trees surrounded the entrance to the gravel drive, and I pulled off the road for a moment, not yet ready to face Edna. Resting my head on the seat, I admired the day’s last light filtering through the canopy. Something within me had changed. In an instant, my life felt different. It was as if my senses had spent their entire existence encased in slumber and they now were set free. My eyes wandered to the lush green life that grew dark in the muted light. The still small voice that beckoned me to stay now became insistent—it was crucial that I keep quiet. No one must know. Green eyes and warm hands embraced my memory one last time before I locked them away. 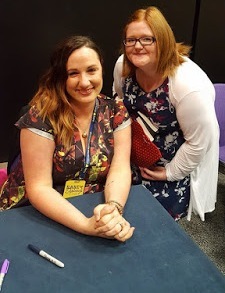 Come back on the 23rd of January for my review of The Light of Asteria! One lucky winner will receive an Ebook of The Light of Asteria. *Please leave you email so I can contact you if you win. I loved this book! I love this series! A Must read for everyone!! P.S. Im not entering as I already have this book - just wanted to share my support for this book!